In a world of uncertainty and crisis, Germany needs a lot of things: A strong leader. A stronger military. Stronger borders. A stable eurozone economy. But there is something else German’s are crying out for: an identity. Since World War ii, trying to define the German national identity, much less celebrate it, has been taboo. Doing so was seen as a possible step toward the kind of nationalism that once enabled the Nazi regime. Flags were frowned upon, as was standing for the national anthem.But spurred by a sense of lost control over the country’s borders, economy and politics, many Germans are reaching for a shared identity but finding only an empty space. Only the AfD, whose populism puts it far outside of mainstream political norms, is openly promising to fulfill a desire for patriotism that would be routine in most other countries. The result is that a social and political norm intended to stifle the far right is now empowering it. That focus on identity has allowed the AfD, even if it is unlikely to win enough votes to govern, to shape the national conversation to its advantage, and to present itself as the champion of ordinary Germans.The influx of refugees into the country in recent years has caused particular stress, Professor Ben-Ghiat said. “In Germany, you’re not even allowed to say you’re proud to be German. You have to say you’re European,” she said. “So when these people come in, what are they left with?”When people feel a loss of control, they seek a stronger connection to a group identity, and also become more interested in making their group more powerful, Professor Fritsche said he had found in his research. Germany’s traditional political parties have been reluctant to indulge that desire because of political taboos. But the AfD has proved adept at exploiting it. This is a big reason for the meteoric rise of the AfD. In September 2013, German newspapers were full of warnings that Germany’s national elections could upend its political system. The reason: A brand new upstart party could win 5 percent in the German elections and gain a voice in the German parliament. “Euroskeptic Party Alternative für Deutschland Strikes Fear in Rest” was the headline in the Times. May 25, 2014: AfD won 7.1 percent in the European Parliament, taking its first parliamentary seats. Aug. 31, 2014: AfD won 9.7 percent of regional elections in Saxony, taking its first-ever seats in a state parliament. Sept. 14, 2014: AfD won 10.6 percent of the vote in Thuringia and 12.2 percent in Brandenburg. Feb. 15, 2015: AfD won 6.1 percent of the vote in Hamburg, its first victory in a western state. May 10, 2015: AfD won 5.5 percent of the vote the Bremen, another western German state. March 13, 2016: AfD came third in state elections in Rhineland-Palatinate and Baden-Württemberg, with 12.6 percent and 15.1 percent respectively, well over double its previous level of support in western Germany. In elections held on the same day in Saxony-Anhalt, the AfD finished second, with 24.2 percent of the vote. Sept. 4, 2016: AfD came in second with 20.8 percent of the vote in state elections in Mecklenburg-Vorpommerne, beating Chancellor Angela Merkel’s party in Merkel’s own district. Sept. 18, 2016: In Berlin’s state elections, the AfD won 14.2 percent. 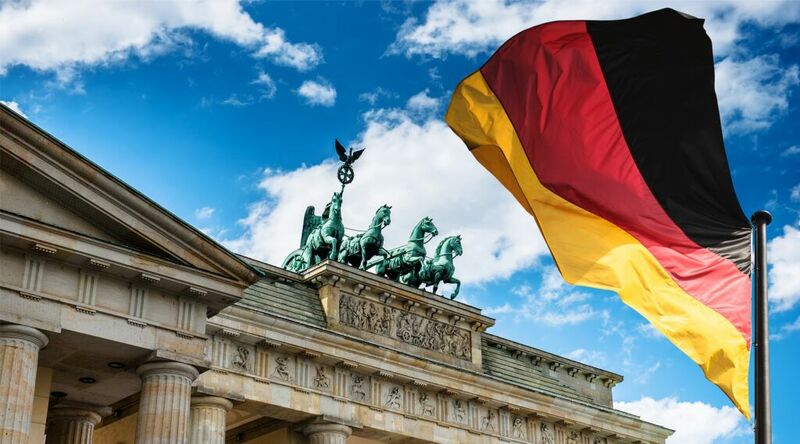 “In Berlin at least, the German political system has shattered,” observed George Friedman of Geopolitical Futures following the Berlin election. “If the Berlin results are replicated on a national level, Germany is going to become ungovernable. … [T]his result, taken at face value, indicates that the European foundation, Germany, is moving toward a major political crisis that will resonate” (Sept. 20, 2016; emphasis added throughout). That strategy was on full display the night of January 17 at a beer hall in Dresden, ground zero for Germany’s far-right movement. Hundreds of AfD supporters had gathered for a speech by Björn Höcke, one of the party’s fastest-rising figures. … [W]hat he said went far beyond the norms of German politics.Germans are “the only people in the world to plant a monument of shame in the heart of its capital,” he said, a thinly veiled reference to the Holocaust memorial in Berlin. Germans had “the mentality of a totally vanquished people,” he argued, but it was time for the country to re-embrace its history and develop a positive relationship with its identity.The crowd’s applause shook the floors, a noisy manifestation of how thrilling transgression can feel in a rule-bound society.”The foundation of being able to move forward is identity,” Mr. Höcke later elaborated in an interview. …Mr. Höcke is an extreme figure within his own party, and his speech provoked a backlash from AfD’s national leadership. But his message demonstrates how the party has broadened its appeal: by telling Germans they should have a proud national identity, a message that in Germany could come only from the political fringes.